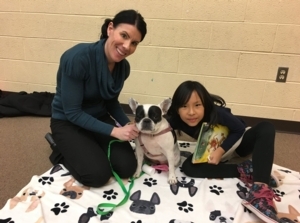 Mon, February 11, 2019 6:00 P.M.
Bella the French Bulldog will be at Whitman Neighborhood Library for one-on-one reading sessions. She is a PAWS trained therapy dog who provides a judgement free environment and allows children to open up and feel comfortable about reading aloud. This program is geared toward ages 6-12, but other children, such as younger siblings, are encouraged to participate as well. Registration is required for this special program. Please call 215-685-1754 or visit the library to reserve your spot.